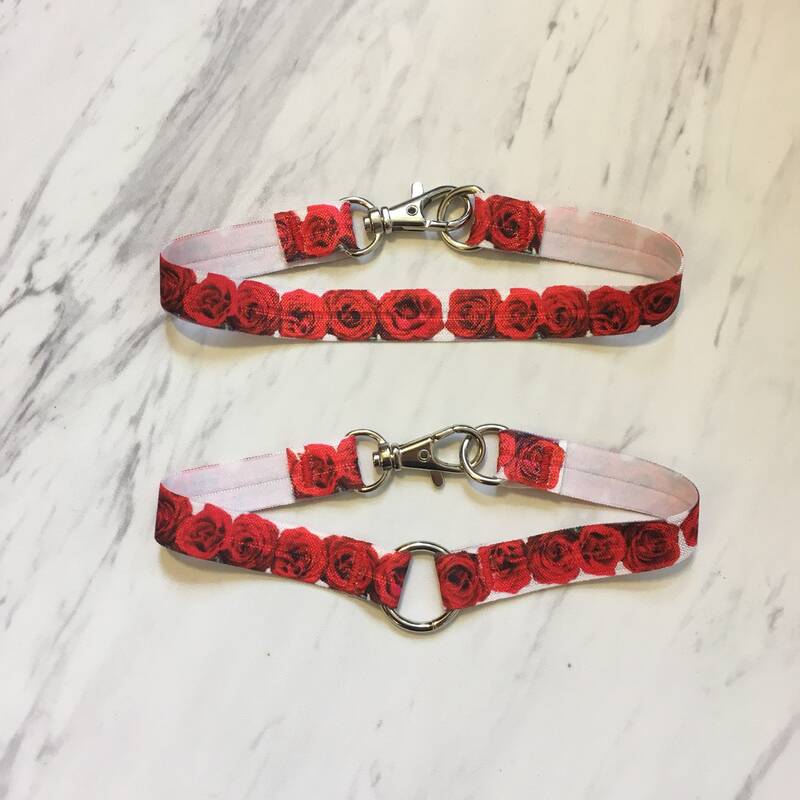 Made of stretchy and comfortable white elastic with a red rose print. 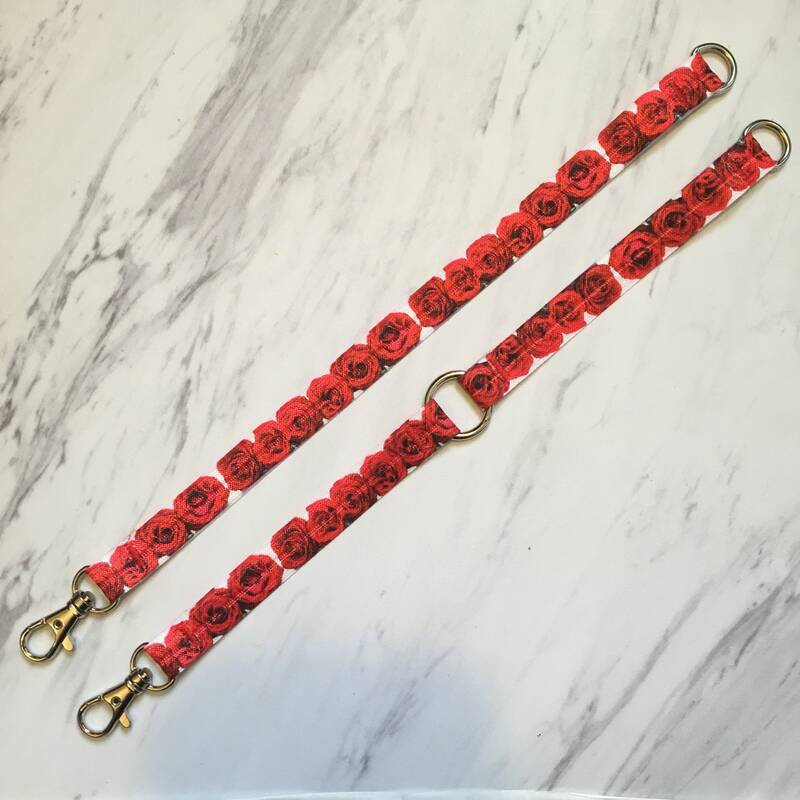 Features a sturdy metal clasp that won't fall off and is super easy to clip (even with long nails!). 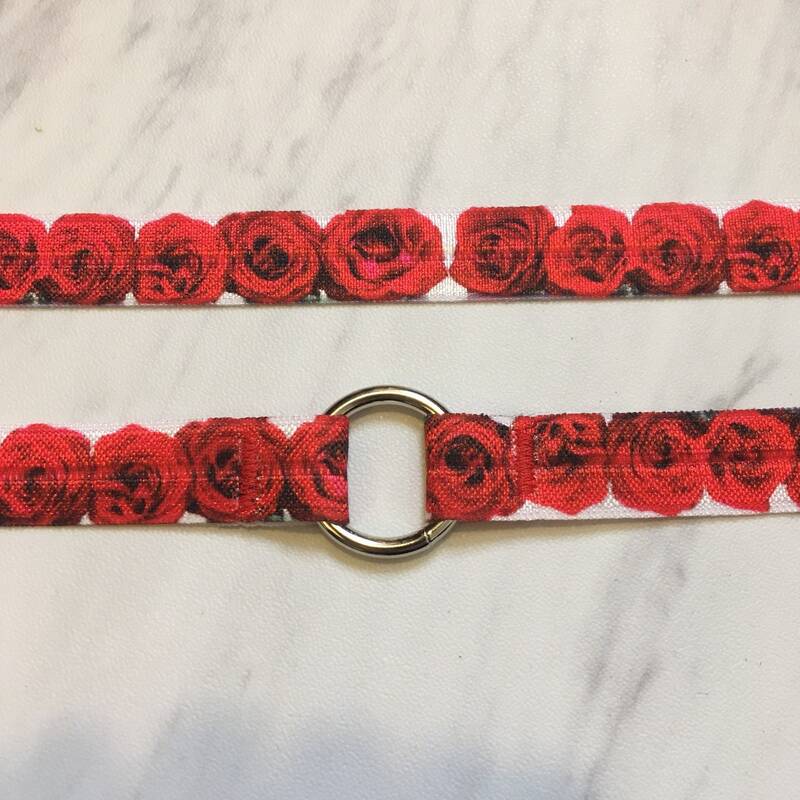 Chokers are not adjustable but they are stretchy! Each choker stretches comfortably about 1 inch. If your neck is 13.5", choose a 13" choker. For custom sizing, leave your neck measurement in the "Notes" line at checkout. All of my items are made to order, there are no ready-to-ship items! Your order will ship in 1-2 weeks from purchase, depending on how many orders I have at the time. All items are sent by USPS First Class Mail, which takes 2-5 days to ship. Priority shipping is available upon request, please message me BEFORE purchasing if your order is needed by a certain date! All sizes listed are US sizes! Custom orders are available! Please contact me if you would like to order a harness design in a color you do not see listed in my shop. How long do orders take to ship out? Orders take 1-2 weeks to ship out!